Your logs are looking really good, let's run an OTL Fix and check for out of date programs. Please disable your anti-virus protection for the duration of my instructions. Don't forget to re-enable them afterward. Warning: This fix is to be used on this system and this system ONLY. Using this fix on any other machine other than yours can seriously damage it. Be advised that when the fix commences, it will shut down all running processes and you may lose the desktop and icons, they will return on reboot. Copy the text in the quote box below (do not copy the word "quote") and paste in the in the box marked Custom Scans/Fixes as shown in the graphic below. Click the Run Fix button at the top of the OTL control panel. Let the program run until it's finished and then reboot the computer. Once your machine has rebooted, a log will open. Please post that log in your next reply. If you have any problems, questions, or need further explanation, please post a message in this thread and I will get back to you asap. That's completely fine. Have a good night and we'll get this whipped very soon. after otl rebooted, it never popped up a log....here is the security check log....do you want me to re-rum OTL? Take a look in here C:\_OTL\MovedFiles and see if the fix log is in there. A copy of the fix log is automatically saved in this directory when a fix is run. C:\Program Files (x86)\Mozilla Firefox\browser\nsprotector.js moved successfully. C:\Users\Anthony O'Brocto\AppData\Roaming\Mozilla\Firefox\Profiles\sdhvehyp.default\extensions\[email protected] moved successfully. C:\Users\Anthony O'Brocto\Documents\Computer fix\USB_MultiBoot_10.zip moved successfully. C:\Users\Anthony O'Brocto\Documents\Computer fix\USB_MultiBoot_10\USB_MultiBoot_10\MULTI_CONTENT\wintools\othertools\ProduKey.exe moved successfully. File\Folder C:\Users\Anthony O'Brocto\Documents\S3\TitaniumBackup\com.advancedprocessmanager-53be5e4508c36adc3c1e81b69514df6a.apk. not found. We will remove your restore points and create a new one. We do this so that if you need to restore your system, you will have a clean restore point. Copy the text in the quote box below and paste it into the Custom Scans/Fixes box. Click the Run Fix button. OTL will remove the old restore points and create a new one. Another weapon against malicious programs and viruses is to keeping other programs updated. There are several programs out there that can check for out of date programs on your computer. One is Secunia PSI, and another is Filehippo. You can run these on a weekly or monthly basis to check your programs for updates and then they will provide a link for you to download them. Your current version of Java is out of date. Java has become the #1 program exploited by thieves and hackers as of today. It's gotten so bad, the Department of Homeland Security recently recommended that users disable Java on their machines. Unless you have software on your machine that absolutely requires Java, I highly recommend you completely remove it from your system. If you do have software that requires it, then disable it until such time as it's needed by those programs. Please click the link below for instructions to disable Java. If you wish to continue to use Java on your machine, please be sure to keep it updated by following the instructions below. Click on this link Java Website and click Do I Have Java? Then click the Verify Java Version button. It will scan your current version and show you if you have the most current version. You can also download a tool called JavaRa that will automatically search for new updates and remove older versions of Java. Click the link below to go to the download page to get the tool. Unzip the files to the directory of your choice. Double click the JavaRa icon in the directory and choose your language preference. Click Remove Older Versions from the menu. If you get a warning that Internet Explorer needs to be closed, close it, then click ok.
JavaRa will then search for and remove old versions of Java from your machine. Malware will exploit any vulnerabilities it can find in outdated software. If you are using Adobe Reader for reading pdf files, try using FoxIt Reader. It is a very capable alternative to Adobe. Please click here to download FoxIt Reader. If you wish to continue to use Adobe Reader, then please update it by clicking here. Please remember to uncheck the option to install McAfee's Security Suite. You can delete Junkware Removal Tool from your desktop. 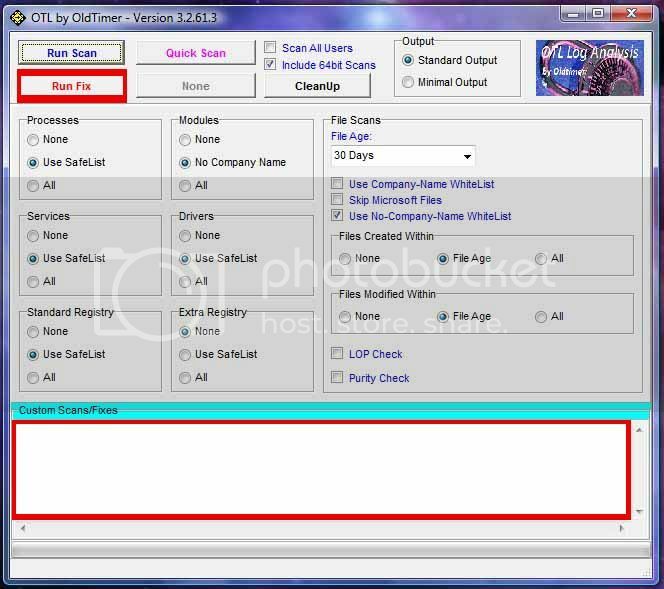 Start AdwCleaner and click the Uninstall button. AdwCleaner will remove the quarantined files and uninstall itself. Start OTL and click the Cleanup button. OTL will remove the quarantined files and delete itself. If you didn't uninstall it when you ran the scan, you can uninstall ESET Online Scanner at this time. How is the machine running? Everything running smoothly? Awesome! You are very much welcome, and if you need us again, don't hesitate to come back.